Occasions and Sale-A-Bration are ON! The Occasions catalog and Sale-A-Bration brochure have gone LIVE for customers! 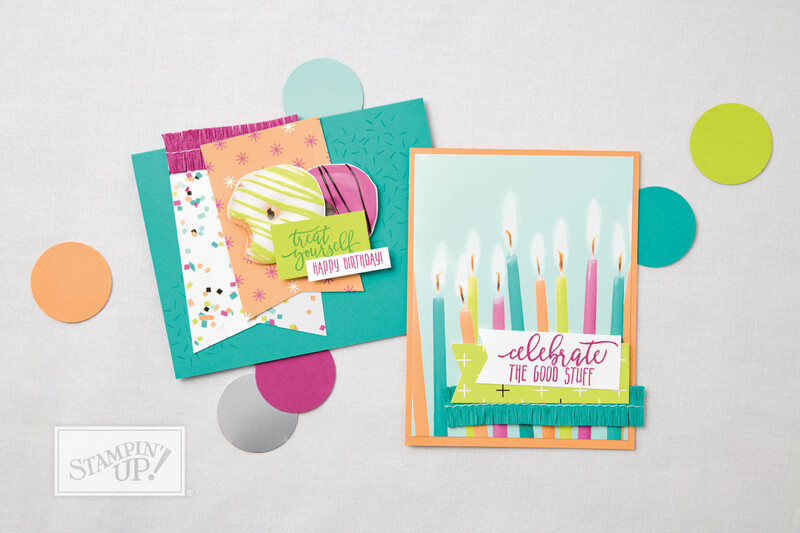 Download your Occasions catalog here (PDF) and the Sale-A-Bration brochure here (PDF). If you’re new to Sale-A-Bration, these products are not for sale. Items in the Sale-A-Bration brochure can only be earned with $50 and $100 purchases. There is no limit to the number of items you can earn during Sale-A-Bration, and qualifying orders count whether you order from the Annual Catalog or the Occasions Catalog (or both!). Please NOTE that the Picture Perfect Paper Ribbon on page 5 of the Occasions catalog will NOT be available, due to a supplier issue. 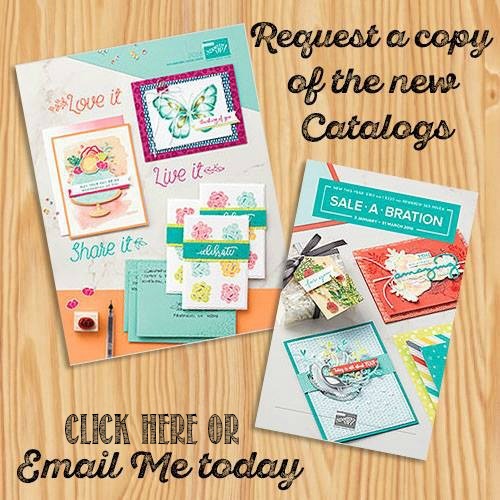 Check out the Occasions catalog video playlist that Stampin’ Up! released here, and the Sale-A-Bration videos here. 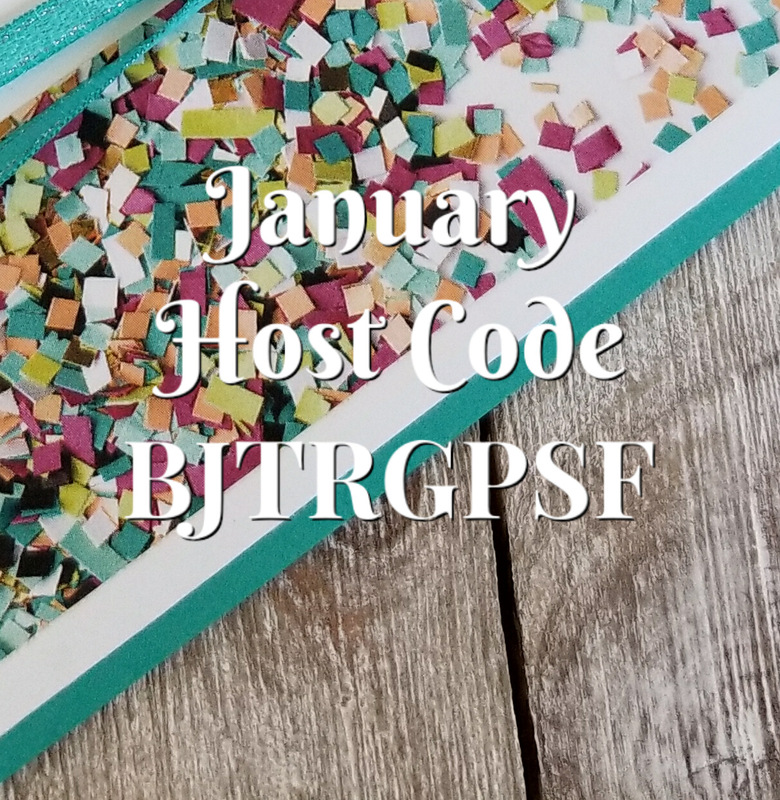 **If you order from my store, make sure to use the January Host Code (below) if your order is below $150, and I’ll send you extra goodies! If your order is over $150, make sure to claim your Stampin’ Rewards when you check out, and you’ll still get my free gift! SHOP HERE NOW.